I am gay and a full service St. Petersburg Realtor, ready, willing and able to help you buy or sell a home in the Tampa/St. Petersburg area. I can help you sell your home from the day you list your place with me all the way through the home closing process and beyond. I will help you prepare your home to sell, with the marketing of your home, showings, and I will work with the buyers and their agents to make the process as smooth as possible. I can help you as a buyer to find the perfect home. Whether you're a first time home buyer, are looking for a second home, or are an investor, I can help you sort through the St. Petersburg real estate market. I will help find you the right homes to choose from, guide you through the decision process and follow you all the way to closing, and beyond. 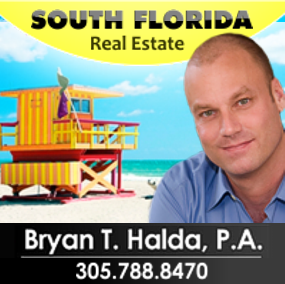 I'm a member of the National Association of Realtors, Florida Association of Realtors, Pinellas Realtors Organization, and St. Petersburg Preservation Society. I am also a Certified Short Sale and Forclosure Resource. I work with homes in St. Petersburg, Clearwater, Seminole, Pinellas Park, and all the beach communities in Pinellas County. I will provide you with fantastic customer service. 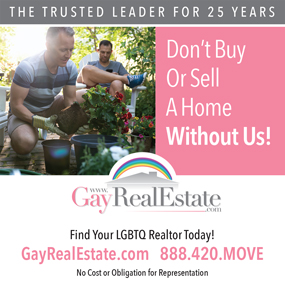 As a Gay St. Petersburg Realtor, I am happy to help serve the GLBT Community in any way I can. St. Petersburg has a wonderful gay community, with so many events throughout the year, as well as many groups and organizations to become part of. I moved here from New York because of its beautiful beaches and parks, the wonderful weather and the welcoming GLBT community. I have volunteered my services to many gay organizations over the years and will continue to do my best to help where and when I can. We have the largest Gay Pride Parade in Florida on the last weekend of June. It is such a great event and is heavily supported by the city and its businesses and residents.